Special Needs lessons are the heart and soul of Swim For All. All special needs lessons are individualized. Coach Amy has been teaching swimming to individuals with special needs for 10 years. Coach Amy is capable and confident working with non-verbal clients and those with limited range of motion. 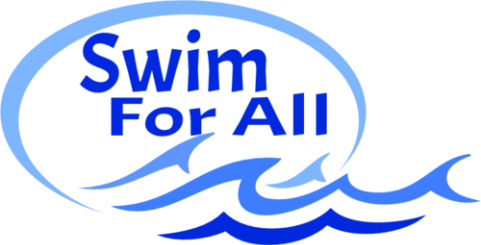 As the mother of a son with special needs, teaching special needs lessons is the core reason for Swim For All. Learning to swim is not only a safety skill, but a source of confidence building and body conditioning. With confidence in the water, students with special abilities have another social outlet. I consider the water safety skills that are taught to be an essential foundation for lifelong, safe enjoyment of the water. In small group and private swim lessons children will have the opportunity to explore the water as a therapeutic medium for strengthening weak muscles, normalizing muscle tone, providing sensory input, stretching tight muscles, motor planning, body in space awareness, and much more. Private lessons truly are the best option for the individual with special needs to learn to swim. Coach Amy will work within each student's parameters to create a rewarding swim experience. Coach Amy is passionate about helping all those with challenges become more confident and safer around the water. Private lessons are scheduled at the pool of your choice and at the time that works best for you and Coach Amy. Contact Coach Amy for more information. 30 minute classes limited to 3 children in a class with the parent/caregiver accompanying child in the water. This class is designed for children ages 3 and up with special needs and their parent/caregiver. Siblings welcome. Parents/caregivers will gain an appreciation for the benefits of water play with their child while gaining the skills to promote water safety.